Acupuncture, with its ancient history of improving wellness in humans, can provide patients suffering from various ailments with relief of pain and symptoms without the use of drugs or other more invasive procedures. 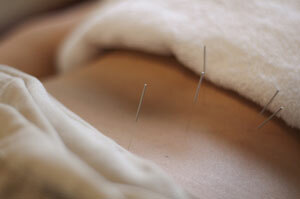 Ongoing research about acupuncture and acupressure has demonstrated their effectiveness. A recent study showed that patients receiving acupuncture had better back-pain relief than patients taking pain medications. Another study found that pressing trigger points on the ear had surprising benefits for back-pain sufferers . Additional research highlighted the effectiveness of combining acupuncture with chiropractic adjustments to relieve migraine headaches. These are just a few examples of contributions to this growing body of scientific research. A new study from the Journal of Alternative and Complementary Medicine sought to determine both the acceptance as well as the efficacy of using acupuncture for low-back pain. Researchers in Germany recruited 143 patients with chronic low-back pain. All participants underwent a standard back-pain rehabilitation program, but one group also received acupuncture treatments twice weekly. When questioned about their acceptance of acupuncture, 89% of the acupuncture group indicated they would want the method integrated into standard inpatient rehabilitation, and 83% would even have paid for it if necessary. In addition, the acupuncture group had better outcomes than the group receiving only standard rehabilitation. Their back pain outcomes were “superior” compared to the control group, with less pain sitting and standing, less pain carrying objects, and diminished prickling in the hands and feet. Acupuncture also resulted in significantly better physical functioning, vitality, and general and emotional health. If you’re looking for more information about acupuncture and other methods of pain relief without drugs, your chiropractor can be an excellent resource. Many chiropractic offices offer trigger point therapy or work closely with other providers who do. Your chiropractor can also help design a treatment plan that integrates other natural methods, giving you the best pain outcomes and the best overall wellness possible. Weiß J, Quante S, Xue F, Muche R, Reuss-Borst M. Effectiveness and acceptance of acupuncture in patients with chronic low back pain: results of a prospective, randomized, controlled trial. Journal of Alternative and Complementary Medicine 2013 June 5. [Epub ahead of print]. Written by: Kelly Johnson on June 27, 2013. Last revised by: Michael MeltonJune 30, 2013. Can Sunshine Stave Off the Flu?